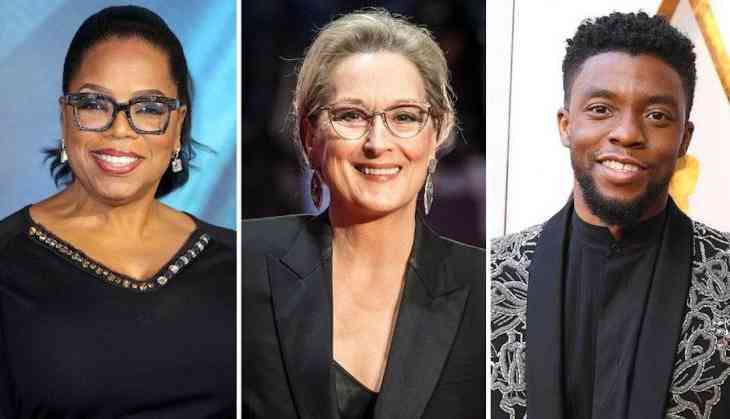 To promote gender equality, Hollywood celebrities including Oprah Winfrey, Meryl Streep, Ryan Reynolds, Chadwick Boseman and Lena Dunham are among the 140 signatories will sign an open letter. The letter campaign, which puts the world leaders "on notice", is being spearheaded by international charity ONE. The undersigned also include entertainment industry personalities such as “Black Panther” star Letitia Wright, Natalie Portman, Reese Witherspoon, Amy Schumer, Issa Rae, Michael Sheen, Thandie Newton and Natalie Dormer. In the letter, the signatories request attention of the leaders to help every girl child receive an education, saying "We won't stand by while the poorest women are overlooked". The letter further urges the global administration "to deliver historic changes for women this year". "From the G7 to the G20; from the African Union to your annual budgets; we will push you for commitments and hold you to account for them. And, if you deliver, we will be the first to champion your progress.